ALBANY - County officials in the Capital Region are taking a wait-and-see approach to the potential legalization of marijuana and sales within their borders. If state lawmakers and Gov. 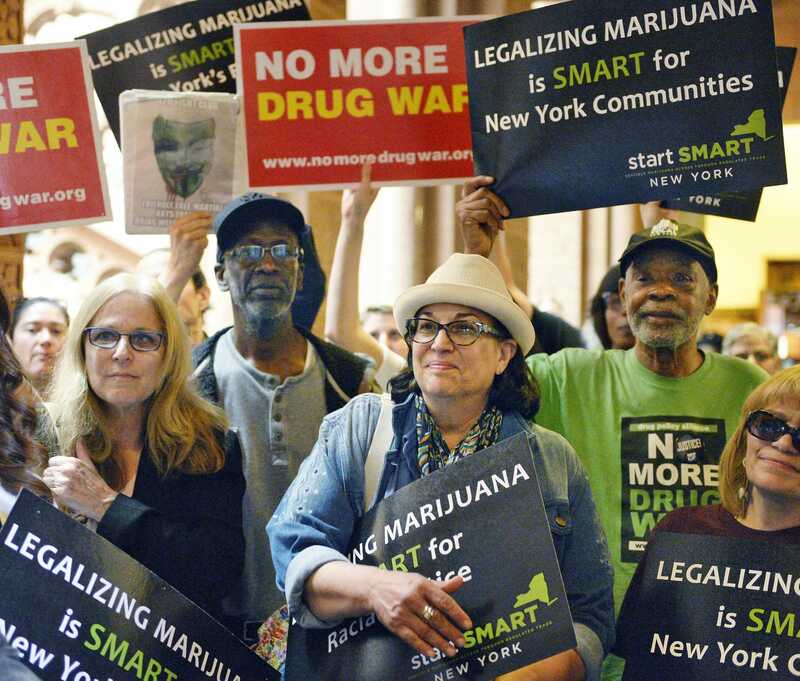 Andrew M. Cuomo strike a deal on a program regulating adult use of marijuana, it&apos;s likely that counties would get to decide whether they would allow the sales in their boundaries. Counties opting out of the system, as proposed by the governor&apos;s budget, would be excluded from sharing in the new revenues. Officials from Albany, Saratoga, Schenectady and Rensselaer counties haven&apos;t decided what will happen if they&apos;re forced to decide, and are still examining the merits and drawbacks of participating. "There are a lot of different angles for us to look at," said Saratoga County Board of Supervisors Chairman Kevin Tollisen, a Halfmoon Republican. Saratoga County&apos;s district attorney and sheriff previously announced their opposition to legalization. If even one of the Capital Region counties decides to opt in, it will likely have ramifications for the neighboring communities, which is why Rensselaer County Executive Steve McLaughlin would ideally want a "regional decision."